Mac Users: How Do I Force a Backup Scan to Start Manually? 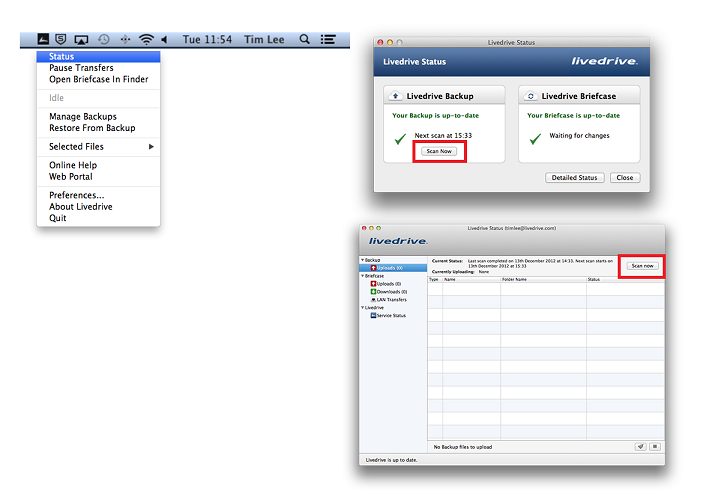 Livedrive Backup runs on schedule scan of the files you have selected to backup. Livedrive will then scan all your backed up files for any changes. Any changes detected during the scan will be uploaded and saved as another version of the file in your web portal.